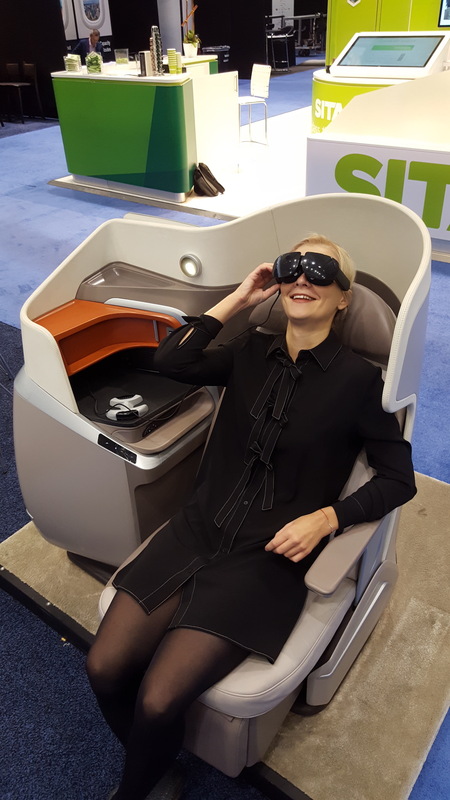 Premium passenger seat supplier, Stelia Aerospace, has partnered with VR headset company, SkyLights and interactive massage system supplier, InSeat Solutions to create a VR IFE system for its Opal business class seat. With the Allosky VR headset, passengers can be ‘transported’ to various full HD virtual locations such as within a blockbuster movie, a meditation session, beach, yacht or private jet, recline their seat and enjoy a massage. The massage system is also equipped with an auto vibration mode that, once activated, delivers content-synchronized vibrations for a next-level 4D immersive experience. 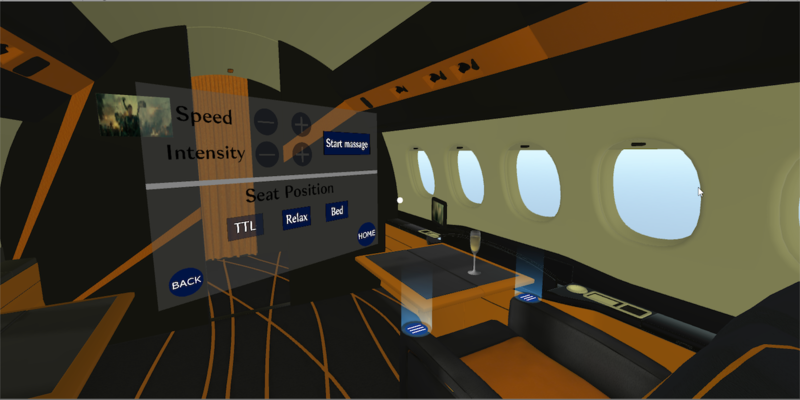 In addition to offering a new passenger experience, the in-seat solution also reduces the logistical complexity and cost of cinematic VR IFE for airlines. The devices do not need to be loaded and offloaded when the aircraft is at its base and can be cleaned onboard by the same crew that cleans the aircraft. The dedicated storage space on the seat also means that airlines no longer have to store the devices in the limited galley storage space. “Our goal is to make cinematic VR IFE a mainstay in the IFE ecosystem. Having deployed on over 5,000 flights, launched our premium Allosky headset and established a solid base of content and logistics partners, we are now delighted to be taking another stride towards that goal”, said David Dicko, SkyLights’ CEO. The in-seat system is planned as a line-fit product for airlines looking to upgrade and differentiate their business class. The SkyLights entertainment can also be integrated into existing seats and would be certified on a fleet-by-fleet basis.